Through this second collection in the “Songs of the Soul” series, we encounter a world where Divine Grace is always with us and every moment is an opportunity to “begin again” in God’s Name. Whether amidst expansion or contraction, whether witnessing the intricacies of the human body or the canopy of the stars, Camille Hamilton Adams Helminski draws our attention to something subtle yet intoxicating with Its Beauty. Her clarity of vision, as well as her appreciation of the Mysterious, compels us to witness the workings of the Divine within our lives, with wonder, opening the heart to this Love, our very Life, the Source of our breath—this Force that pours through us and knows no boundaries! 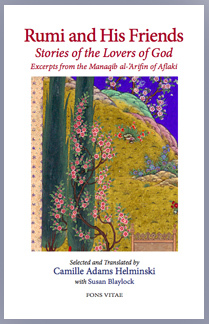 Translated by Camille Helminski and Mahmoud Mostafa The Mevlevi Wird, the Mevlevi litany of prayers that has been recited daily by Mevlevi dervishes for hundreds of years, is now available in English translation with accompanying transliteration and also Arabic text. Hardcover copies may be ordered through the Threshold Store. Please note the current blue cover version does not include the embossed gold destar. 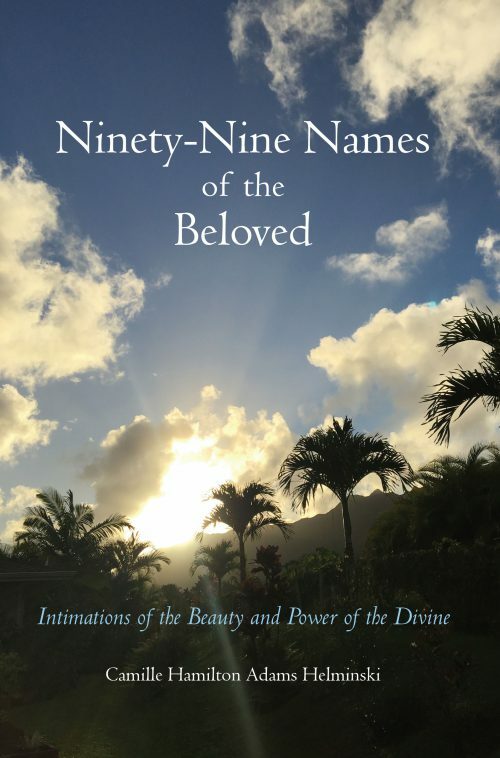 Intimations of the Beauty and Power of the Divine by Camille Hamilton Adams Helminski We offer these reflections on the “Ninety-Nine Names of God,” traditional to Islam and the Quranic revelation, to support the increased opening of our awareness to all the Generosity and Loving-kindness of the Divine Bestowal. The Divine is so generous with the qualities of Being that in any moment they may be perceived in new ways, in varied intermingled resonances, with different hues, to touch our hearts and minds and souls and bodies, and awaken us in awe. Intimations of the Names, as they arrived within this heart, are included here in twos or threes or more, in clusters or constellations of Names, that we, dear reader, might be encouraged to look and witness again the dancing and singing of all the Names, even beyond the Ninety-Nine here expressed, in all the realms of our existence. Islam once gave birth to a great civilization that respected religious diversity, freedom of conscience, and scientific thought, and Islamic knowledge contributed to the birth of humanism in the Renaissance. Today's world is desperately in need of a spirituality that is free of dogma, based in experiences not beliefs, one that can reconcile the human and spiritual realms. 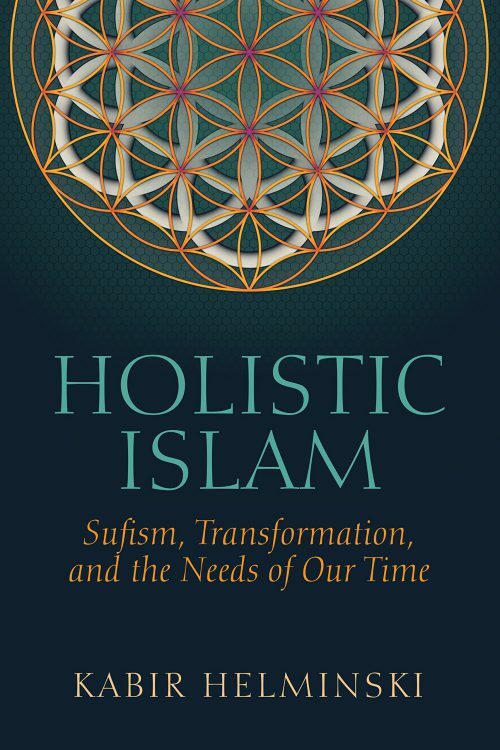 In his new book, renowned spiritual teacher and Sufi sheikh Kabir Helminski, gives us a compelling interpretation of spiritual or holistic Islam that will hearten contemporary Muslims looking for a faith suited for our times, and providing non-Muslims a brilliant introduction to this rich spiritual tradition. 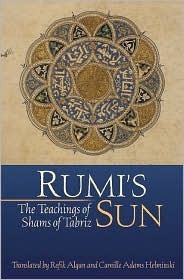 Translated by Camille Helminski and Refik Algan Revised edition with surah index Rumi’s Sun collects many lessons and discourses from Shams of Tabriz, the Sufi mystic and spiritual master who was the catalyst for Rumi’s awakening. His teachings and insights inspired much of Rumi’s poetry and are still celebrated today by all Sufis. Translated by two noted students of Sufism, Shams’ timeless teachings are presented here in their traditional order. 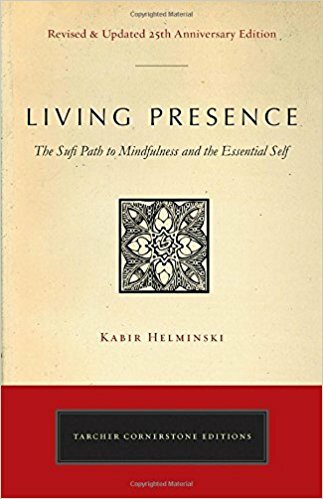 By Kabir Helminski Revised 25th anniversary edition Sufism is a centuries-old spiritual psychology leading to presence in life. 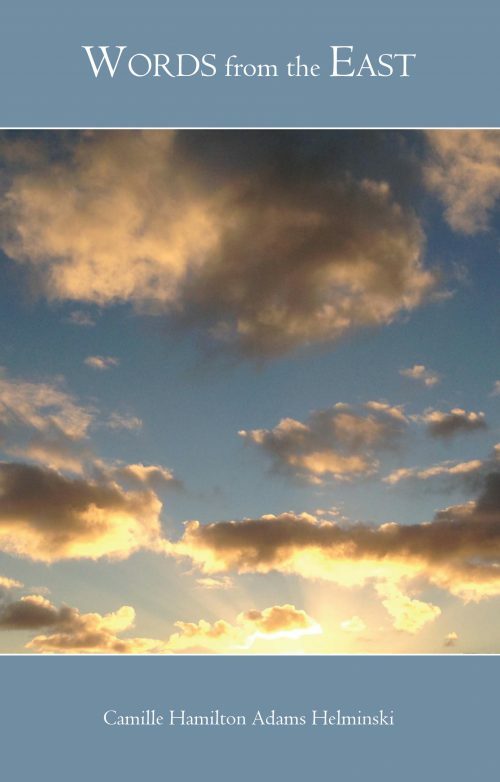 Presence is our capacity to be whole in the moment, in alignment with our deepest wisdom. With unusual clarity, this book describes how presence is different from ordinary habits of mind, and how it can be developed. Drawing on the words of the great Sufi, Rumi, as well as traditional material and personal experience, this book integrates the wisdom of Sufism with the needs of contemporary life. By Camille Hamilton Adams Helminski Words from the East, this first in the series of "Songs of the Soul," poetic reflections from the pen of Camille Hamilton Adams Helminski, brings us into intimate contact with nature and the Source of Being. 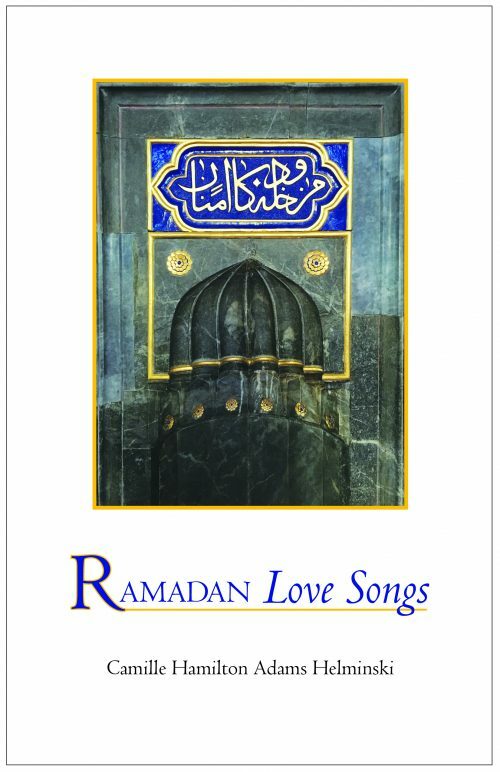 A beautiful collection of sacred songs and chants performed by singers and musicians trained in the Sufi tradition. Recorded in private gatherings in Turkey, Morocco, and Vermont. Listen to and download individual tracks or download the complete album below. 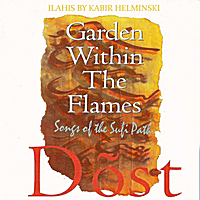 Sufi "ilahis" by Kabir & Camille Helminski & Friends. These versions of Sufi songs, or ilahis, have proved to be compelling listening for many people. The words were inspired by: Yunus Emre, Pir Sultan Abdal, Ibn Arabi, and Mevlana Jalaluddin Rumi. This album establishes a new genre of worldbeat sacred music. Listen to and download individual tracks or download the complete album below. An extraordinary recording of a spiritual and musical collaboration between Sufi sheikh Ahmed Tijani of Ghana, fellow Sufi sheikhs Kabir and Camille Helminski, and the queen of Ghanaian high life, Asabea Cropper, along with a group of musical friends. Listen to and download individual tracks or download the complete album below. You Are Joy consists of selections from the words of Jalaluddin Rumi, translated and read by Kabir and Camille Helminski, accompanied by original, traditional sufi music composed and improvised under the direction of Kabir Helminski. Listen to and download individual tracks or download the complete album below. Excerpts from Rumi's Sun read by Camille Helminski with Ney Improvisations by the late Arif Bicer. Listen to and download individual tracks or download the complete album below. A litany of daily prayers recited by Mevlevi dervishes: read in English by Camille Helminski, and in Arabic by Mahmoud Mostafa. Listen to and download individual tracks or download the complete album below. Fourteen of the most beloved short surahs and passages from the Qur'an, recited in Arabic, repeated for learning; accompanying pdf file for memorization (Arabic text, with English translations from The Light of Dawn). Listen to and download individual tracks or download the complete album below. 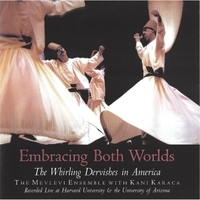 Mevlevi Music [Hussam Ayin 7 medley] The Mevlevi Ensemble with Kani Karaca. Listen to and download individual tracks or download the complete album below. 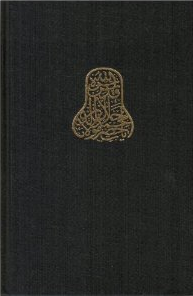 Selected and translated by Camille Helminski, with Susan Blaylock Originally written by Ahmad Aflaki, a devoted follower of the grandson of Rumi, this translation relates anecdotes of the life of Mevlana Jalaluddin Rumi, his father, wife, sons, and daughter and his relationship with Shams of Tabriz and other close companions and disciples. 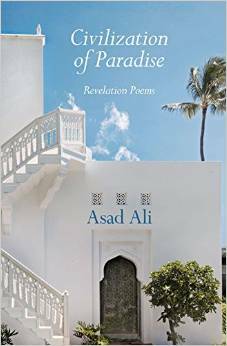 By Dr. Asad Ali Civilization of Paradise is both a collection of Qur’an inspired poetry and a fascinating record of intimate dialogs with a Sufi master in Damascus. Poetry, in the case of Asad Ali, is a way of life and prayer. In the state of consciousness from which he speaks, we become the companions of great beings: the Timeless Desert, the Infinitely Compassionate, the Supplicating Earth, the Universal Human. Each of these poems is related to a Surah of the Qur’an, as noted below the title of each poem. 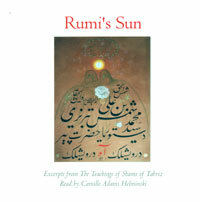 Selected and translated by Camille Helminski, with Susan Blaylock Originally written by Ahmad Aflaki, a devoted follower of the grandson of Rumi, this translation relates anecdotes of the life of Mevlana Jalaluddin Rumi, his father, wife, sons, and daughter and his relationship with Shams of Tabriz and other close companions and disciples. These stories are all based on the oral traditions of the early days of the founding of the Mevlevi Order and double as teaching stories that illuminate the way of the dervish. Spiritual seekers can benefit from this glimpse into the community surrounding Rumi and the wisdom conveyed through interactions with him. Many selections include beautiful passages from his poetry, and each selection is titled to assist in orienting the reader and enhancing comprehension of meaning. 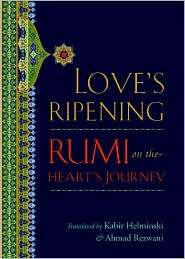 Selected and translated by Kabir and Camille Helminski When the words of Rumi enter your heart, something softens, breaks, and is subtly reborn. That he wrote the words seven hundred years ago in a medieval Persian world that bears little resemblance to ours makes their uncanny resonance to us today just that much more remarkable. Here is a treasury of daily wisdom from this most beloved of all the Sufi masters—both his prose and his ecstatic poetry—that you can use to start every day for a year, or that you can dip into for inspiration any time you need to break through the granite of your heart. Translated by Ahmad Rezwani and Kabir Helminski Love is the meaning of our existence, the raw material of transformation, the glorious way of access to Divine intimacy. 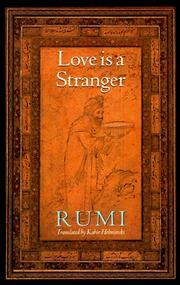 This teaching infuses the lyric verse of Rumi (1207–1273), the greatest of the Sufi poets. The poems in this collection, taken from among the master’s many volumes of work, focus on one of his greatest themes: how love grows and matures for those on the spiritual path. By Jalaluddin Rumi Translated by Kabir Helminski Jalaluddin Rumi, one of the greatest mystics and poets the world has ever known, said, "love is a stranger and speaks a strange language." And yet Rumi's message of spiritual love speaks directly to our hearts after more than seven hundred years. This volume contains most of the earlier The Ruins of the Heart in revised form as well as an equal amount of new translations. A quintessential collection. 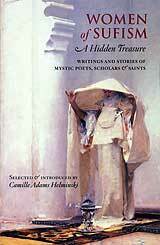 Selected and introduced by Camille Helminski The luminous presence of women who follow the Sufi Way - the mystical path of Islam - is brought to life here through their sacred songs and poetry, their dreams and visions, and stories of their efforts as they witness the Truth in many realms. These writings reflect the honor and respect for the feminine in the Sufi worldview, and they are shared in the spirit of inspiration and hope for the flourishing contributions of women to the spiritual development of humanity.